Usually I would make a poll before adding such changes however as this is a balance change, I don't expect many individuals (particularly criminals) to be the #1 fan of this change however from a police perspective, a change is inevitably required. So lets be honest, the current meta of BRs typically stands around the average BR lasting around 3-5 minutes with very little failures ever taking place for criminals. 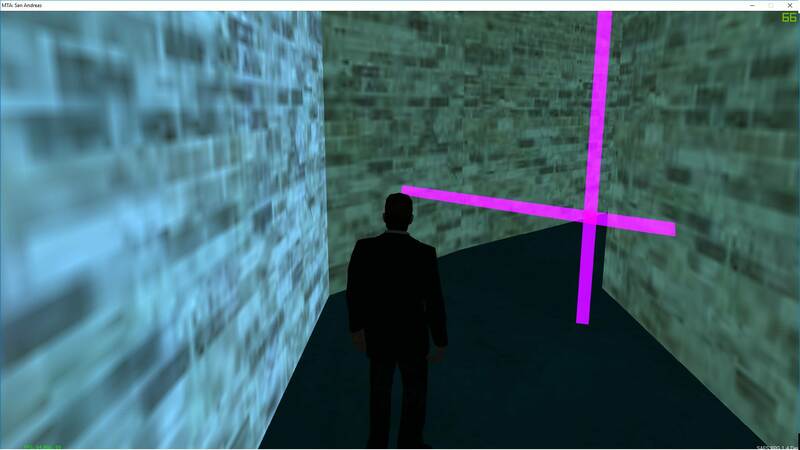 This usually takes place by criminals primarily camping the second room and shooting into the main lobby down a narrow corridor towards the cops (which wasn't how the mapping was intended). Due to this, cops never really got past the initial gate and typically barely ever arrested anyone. With this update, I've changed 2 things in particular. One change is an attempt to extend the time in which a BR takes place. This is because I believe the current time of 3-5 minutes is way too short for cops to even make a strong attempt at stopping a BR (unless it's SWAT in SF who are literally next door). This has been done by extending increasing the crack value on all the doors. These numbers have been chosen and tested (cracked by Groove and Nemesis - considered professional crackers) with 2 (out of 10) minutes remaining before the bank reset. This therefore almost doubled the time of the criminals spent inside the bank during the robbery while also significantly increasing the difficulty. This is an attempt to force players to no longer camp in the second room and either defend at the end of the 2 corridors or defend in the main safe room. What do I ask of you? Please post below your opinions on the new system after attending a bank rob under the new system. Again, I don't expect everyone to be happy as this is a balance change however 8/8 bank robs should feel rewarding just as they did back in 2013. BRs should be a more engaging and challenging experience for gangs and not just that standard money making scheme. One of the best ways to monitor this change is if HQs of organisations could fill the following form out throughout the week. Rumour has it, Omarr discovered bacon and he's now a door to door bacon salesman.